Rev. Murray, Susan and Hank Snow. Susan and I feel blessed and are excited to be in ministry with the wonderful “People of Grace on Harbison!” Our heart’s desire is to encourage, equip, and enable people to respond to God’s call on their lives as we grow in love of God and neighbor together. Susan and I are both natives of South Carolina having lived in the Upstate most of our lives. An Ordained Elder, I have been serving as pastor of Grace UMC since January of 2016, previously, having served in the Greenville District since 2002. I received my BA from the University of South Carolina Upstate and a Master of Divinity from Erskine Theological Seminary. I have one daughter, Amanda, which lives in Marion, NC. Susan and I enjoy traveling and camping in our RV while spending time together in God’s beautiful creation and meeting new friends. My passions include sunrises, sunsets, fly fishing for trout, kayak fishing, hiking, and watching football games with Susan. Susan has a music ministry and is an instructor for a nonprofit, Preserving Our Southern Appalachian Music. Hank, our Siberian Husky and Ibby, our cat bring added joy to our lives. Grace’s Choirs and Music are under the supervision of Dr. Merritt. MARK DANIEL MERRITT is a Choral Conductor and an ASCAP composer and arranger. The recipient of numerous commissions, Merritt received a major commission in 2007 funded by the Kentucky Arts Council and the Catlettsburg, Kentucky Leadership Club, to compose the score to the musical play River Dreams, which had its world premiere that year in Ashland, Kentucky. From 2002 to 2012, Merritt was Associate Director and then Director of VOCE Choral Ensemble, an auditioned choral group in Mount Airy, North Carolina that he helped to found. 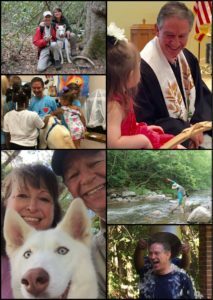 From 2012 to 2015, Merritt was the Minister of Music at Episcopal Church of the Holy Spirit in San Antonio, Texas, where he greatly expanded the quality and size of the music ministry as the church moved from “mission” to “parish” status. Groups under Merritt’s direction have performed his music at the North Carolina Music Educators Conference, the Biltmore Estate, historic Bruton Parish Church in Williamsburg, Virginia and the Texas Collegiate Women’s Choir Festival. 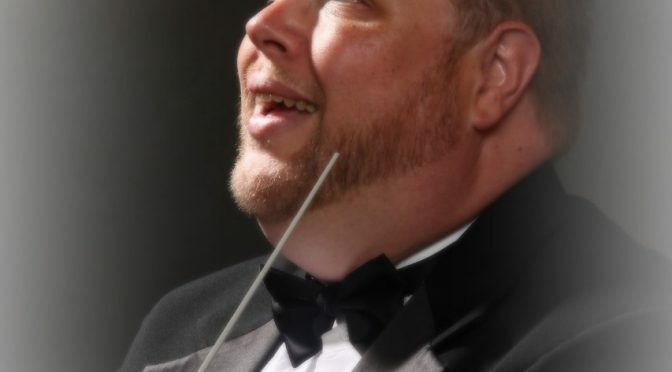 Merritt completed a Master of Music degree in Choral Conducting under Dr. John Silantien at the University of Texas at San Antonio, and is currently pursuing a Doctor of Musical Arts in Choral Conducting at the University of South Carolina under Dr. Larry Wyatt.